Do me a favor. Close your eyes and envision your most perfect quiet morning… no pets needing to go out to pee, no kiddos to send off to school, no email inbox stealing your attention and peace. Instead, you sit on your terrace overlooking the Ionian Sea and sip on a cup of hot coffee while reading your favorite book or you hike down to the sea and go for a morning swim before your first yoga class of the day. All you have to do is show up. Allow us to take care of everything else… nourishing your physical body with delicious food and balanced yoga practices, allow us to schedule your massages, allow us to prepare your meals and clean up afterward, allow us to organize outings –> boat trips and beach visits. Remember, you don’t have to do it all. We will be calling the Greek island of Lefkas (also called Lefkada) home for our 7night/8 day retreat. Urania Villas and yoga retreat center overlooks the deep blue Ionian Sea and provides the perfect destination to get away from the stress of life back home and to hit the reset button. Every once in a while you come across a place – which is so divine, so quiet and beautiful and surrounded by nature that no pictures can do it justice and Urania Villas is one such space. We would love for you to join us! What does the Yoga Retreat in Greece include? We’ll capture your week with video and photos, so you don’t have to think about it! What does the Yoga Retreat in Greece exclude? Soda, junk food, and alcoholic beverages. Who is our Yoga Retreat in Greece for? those that need to RELAX… there are only two mandatory events for the whole 8 days! Who is our Yoga Retreat in Greece not for? Still wondering if this retreat is a good fit? Let’s connect! Hop on my calendar and schedule a phone/Zoom call. I’ll answer all of your questions and then some! Here is a link to my Calender Scheduler. JOIN OUR EMAIL NEWSLETTER TO FIND OUT JUST HOW MUCH YOU CAN SAVE… THE ANSWER IS A LOT! 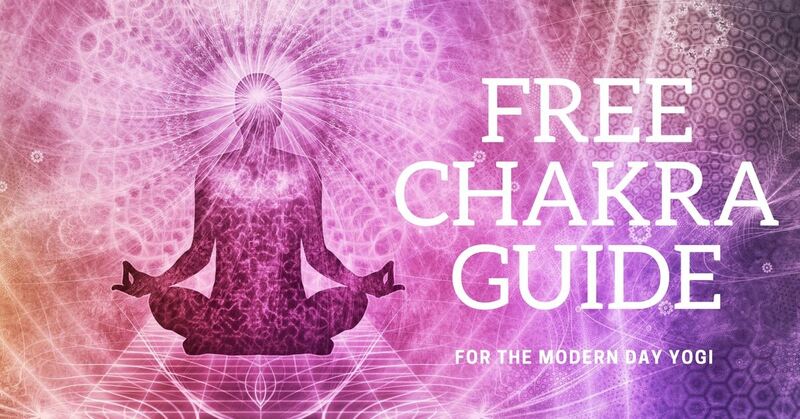 You’ll also receive our free chakra guide! Autumn founded Ambuja Yoga in 2014 as a way to not only share her love of yoga, travel & adventure but as a way to cultivate intention, courage, grace and joy in her students. 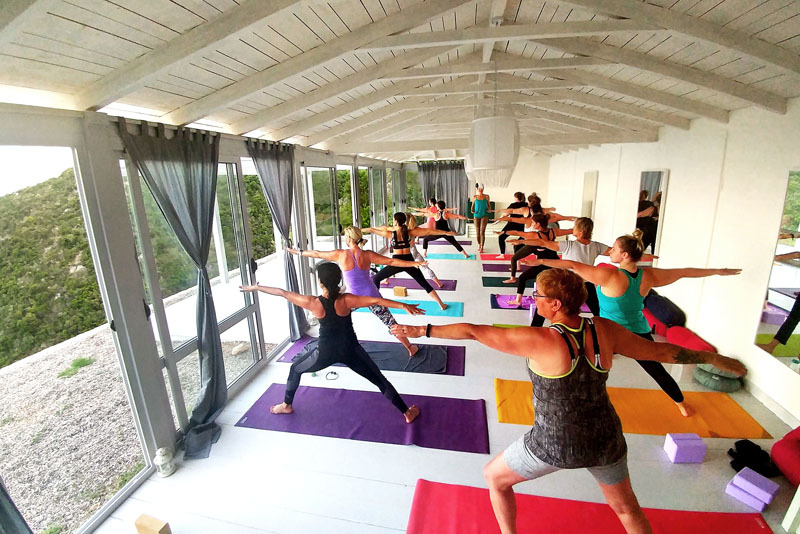 Since Ambuja Yoga’s start, Autumn has led 17 yoga retreats in the United States and abroad. Autumn Adams seamlessly blends her education in Hatha and Vinyasa Yoga into dynamic, flowing classes that gently challenge her students to break old habits and move beyond perceived limitations. Autumn’s skilled hands-on adjustments will help you find your perfect alignment. She hopes her retreat attendees will leave her retreats with a feeling of purpose and with the ability to invite their intention into all aspects of their lives. She encourages her students to be conscious creators… to have the courage to take risks (both big and small), the courage to listen deeply to their body, to their gut, to their heart, the grace to “roll with the punches” on this messy path we call life and to be willing to laugh at ourselves when we “fail”. Learn more about Autumn’s philosophy here. Fun all-levels alignment-based vinyasa yoga with time to play and try new poses… we’re serious enough as it is. Let’s find joy on and off of our mats! Every morning will conclude with a sweet Savasana or yoga nidra. Restorative yoga with a deep emphasis on relaxation. Each evening yoga class will be a deeply restorative practice that blends elements of restorative yoga, yin yoga and therapeutic yoga. Our evening restorative class will always include bolster supported heart opening postures, hip openers, gentle twists and stretches for the hamstrings, neck and shoulders. These quiet, contemplative classes are designed to balance and restore the body, mind, and spirit. Autumn will finish evening class with a guided meditation or yoga nidra. Autumn will be available for private yoga lessons throughout the week ($65/hr). Have you been on a yoga retreat with Ambuja Yoga before? You’ll receive 10% off of your next retreat. Contact Ambuja Yoga for further details. Will this be your first retreat? We would love to have you join us. We’re here to answer questions all along the way. Hesitant about attending a yoga retreat? Read about a few of the most common yoga retreat myths on our blog. Urania Villas is located on the mountainous island of Lefkas, near the village of Vassiliki. The cluster of luxurious villas sits high up on the hill above a tiny little private beach with views of neighboring islands and beautiful Vasiliki Bay. Although, the villas are on the southwest side of the island and close to the best beaches they also look out over a Vasiliki Bay facing the east. The sunrises are spectacular. Ourania and her son Ilias are our wonderful hosts for the duration of the week. They are completely dedicated to making sure our week is amazing! The kindness of our hosts and the thought and care that goes into each and every detail are much appreciated. Gorgeous pools are the name of the game here. We will have plenty of time to swim, relax poolside, read and unwind. You will be encouraged to take advantage of our scheduled excursions, but we’d also like you to listen to your body and your own wants and needs… sometimes that means enjoying some quiet pool time while the rest of the group is out and about or taking a nap while the rest of the group is at class. The luxurious villas are in an incredibly quiet and peaceful area of the island and are surrounded by flora and fauna… if you’re lucky you might even see foxes, dolphins and owls. The food at Urania Villas can only be described as fresh, delicious and abundant. We’ll enjoy a hearty breakfast after our morning practice each morning. The morning breakfast menu will vary but may include: eggs, cheese, meat, bread, fruit, and more. Lunches will be a lighter affair… because practicing yoga with a full belly is not much fun at all! Dinner… the best meal of the day and three courses… including dessert! I love Greek desserts! Travel Insurance is required for all international yoga retreats with Ambuja Yoga. Many policies will help cover theft, travel delays and evacuation should you need it. It may also protect you in case of trip cancellation due to illness or death of a family member. Canadian citizens using Canadian passports do not require a visa to enter Greece for tourism or business stays under ninety (90) days. If you’re traveling from another country please consult with your local embassy. A 50% deposit holds your place for this retreat. Final payment must be received by June 10, 2019. Ambuja Yoga currently accepts Certified Cheques, Paypal, Square and bookings through WeTravel.com. Reserve your space today! The deposit amount is refundable until December 1, 2018 less any associated bank fees. After December 1, 2018 the deposit becomes non-refundable. However, if you can fill your space your deposit may be transferred to another individual. If written Notice of Cancellation is received between December 2, 2018 and March 30, 2019 the refund amount will be as follows: the amount paid minus bank fees (if applicable) minus non-refundable deposit minus $100 office fee. If written Notice of Cancellation is received after April 1, 2019 there will be no refund granted. If Ambuja Yoga must cancel the retreat due to illness, death, or extenuating circumstances 100% of money (minus bank fees) paid to Ambuja Yoga will be refunded within 30 days of retreat cancellation. Ambuja Yoga is not responsible for guest’s costs and expenses incurred in preparation for any canceled trips. Check out the Ambuja Yoga Facebook page to see updated pics, news and deals!!! Can’t wait to see you there!!! I loved the closeness that I felt to everyone, as well as the schedule of events. I have grown so much in just this weekend. I understand and accept my limits and I feel amazing about all of it. No improvements, everything was amazing. I felt great love here. Thank you both so so much. I can;t wait to see you again next time.